As one of America's premier landscape painters, Larry Dyke has a magical touch in bringing nature to life on his canvases. This image has all the hallmarks of a Dyke masterpiece. 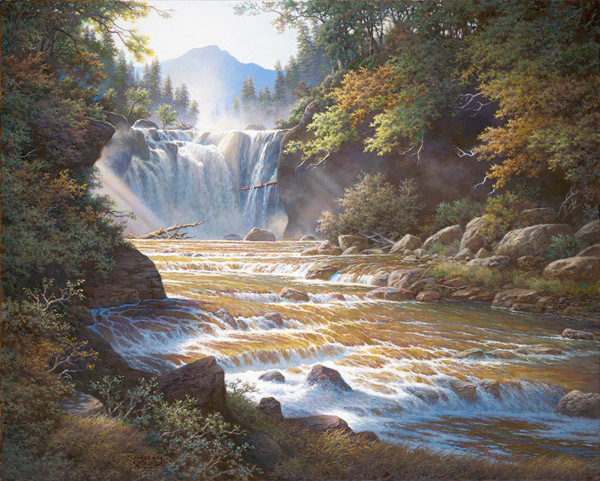 As the title suggests, the raw force of the waterfall creates a perpetual, beautiful vapor that permeates the surrounding forest. Each veil of vapor from the falls vanishes as quickly as it appears only to be replaced by another. Come to the edge of the waterfall and behold the grandeur that only God can create.